Alongside the likes of Drake and Travis Scott, Kendrick Lamar is atop the pantheon of today’s hip-hop icons. His most recent album, DAMN., was incredibly well received as well as his duo of sell-out tours, with the TDE Champions Tour holding a special place in fan’s hearts as it came with releases of Kung Fu Kenny’s third collaborative Nike Cortez along the way. 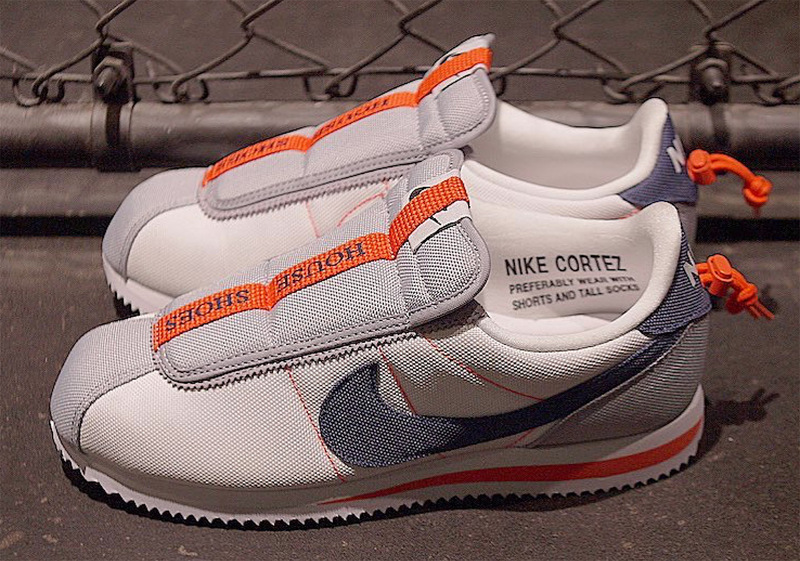 Later this month, Lamar and the Cortez will be reprising their relationship by way of a fourth iteration that comes done up in a primarily White and Wolf Grey color scheme with Thunder Blue and Turf Orange accents as well as a slipper-like aesthetic. Much like his past drops, its inner lining boasts the phrase, “Preferably Wear With Shorts And Tall Socks”, serving a clever nod to both the shoe and Lamar’s Souther California roots. A laceless, puffy throat shroud with the phrase “House Shoes” takes center stage, while a clasp tightening system on its heel aids with this selection’s comfort and lockdown. Its nylon-ridden construction combined with its $100 price point create a must-have casual lifestyle offering for any fan of Kenny and the Swoosh alike. It is not likely that this drop will coincide with any special performance – as Lamar is not currently on tour – but it is certainly possible that there will be some sort of unique drop. Grab a first look at the fourth Kendrick Lamar x Nike Cortez here and look forward to its release at select retailers on September 22nd.